In California, carrying a concealed dirk or dagger under Penal Code 21310 pc which is a wobbler offense, meaning the prosecutor holds discretion to charge someone with a felony or misdemeanor. Law enforcement and prosecutors treat any weapon allegation seriously since a weapon may be used to commit other offenses – e.g., robbery. However, this charge can be extremely complex and can be much tougher to prosecute than one would expect. The usual issue is whether the device had capabilities of “ready use.” For instance, pocket knives or unlocking folding knives do not qualify as “ready use” since one must unlock the knife by making an effort to manipulate the knife to expose its blade. If you have been arrested or accused of this offense, contact an Orange County Criminal Defense Attorney at the earliest stage of the case. Mr. Rogers may be able to reduce your exposure by communicating your side of the story early on to the prosecutor in an effort to reject charges from ever being filed against you or substantially reduce your exposure to a misdemeanor and not a felony. Prosecutors generally look at the evidence very narrowly only considering the opinions of the police officer(s). Mr. Rogers will submit a package to the filing prosecutor consisting of your side of the story, additional witness statements, exculpatory evidence, as well as character references vouching that your arrest was an isolated instance and outside of your character. This approach may be useful in persuading the prosecutor not to file charges and avoid you from ever having to go to court. The best chances of succeeding on this approach is early intervention by a criminal defense lawyer at the cases earliest juncture. 4. Defendant knew it could readily be used as a stabbing instrument. • The instrument was not capable of causing great bodily injury but rather minor or modern harm if used against another person. • The instrument is not equipped with “ready use.” In other words, if you have to put in effort to manipulate the instrument to use it as a stabbing instrument then the knife does not comport with the requirements of this statute. The law holds that the instrument must be equipped with a button or be readily used with the flick of a wrist. • The dirk or dagger was not substantially concealed. For instance, you were hold the dirk or dagger was attached to your belt with a protective guard not covered by a coat or clothing. • You were not considered “carrying” the dirk or dagger. Rather, the instrument was found in a drawer or on a counter. • You did not have knowledge that you were carrying the dirk or dagger such as a friend leaving it in the back seat of your car. • The police committed an unreasonable search of your person, vehicle, or home in violation of your Fourth Amendment right under the United States Constitution. As noted above, carrying a concealed dirk or dagger is a wobbler offense which means the prosecutor holds discretion on whether to charge someone with a felony or a misdemeanor. Factors the prosecution considers are the defendant’s prior criminal record and the severity of the circumstances leading to the arrest of the suspect. If convicted under this statute as a misdemeanor, the maximum custody exposure is up to one year of incarceration in the county jail along with court fines and three years of probation. If convicted under this statute as a felony, one faces at least 16 months in California state prison. In addition to custody time, one can expect to be placed on probation or parole, fines and fees, temporary loss of search and seizure rights, and adverse immigration issues. Since carrying a concealed dirk or dagger is a wobbler offenses, if someone is convicted under this statute as a felony, then they may be eligible to reduce their felony to a misdemeanor upon successful completion of their sentence pursuant to Penal Code § 17(b). Upon the court granting the misdemeanor reduction, the conviction is a misdemeanor to “all purposes” and grants a full restoration of your rights. Certain conditions must be fulfilled in order to qualify for reduction. For more information, contact the Law Offices of John D. Rogers to discuss your eligibility of reducing your felony to a misdemeanor. If you were convicted of carrying a concealed dirk or dagger, then you may be eligible to expunge your record pursuant to P.C. § 1203.4 “releasing you from all penalties and liabilities” as a result of the conviction. If the court grants the petition judicially declaring you statutorily rehabilitated, then you can truthfully answer “no” to any direct question about whether you have been convicted of a crime in the private employment sector. 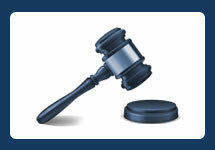 Certain conditions must be fulfilled such as full completing your probation sentence and payment of your court fines. 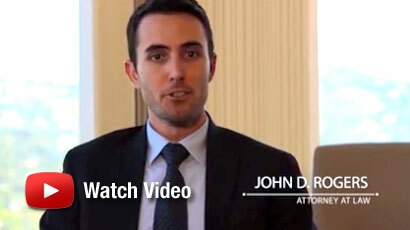 For more information about expunging your conviction, contact the Law Offices of John D. Rogers. Dan was walking on a downtown Los Angeles street when he was approached by two LAPD police officers. According to the police, Dan looked suspicious so they detained him pending an investigation. As part of their investigation, one of the police officers began conducting a search of Dan’s clothing to see if he had any drugs or weapons. The officer’s search revealed Dan to be carrying a dagger in his back pocket. The police officers arrested Dan for carrying a concealed dagger. In this case, Dan’s criminal defense attorney would argue that the search of Dan’s pockets were in violation of his Fourth Amendment search and seizure rights. Moreover, the police had no reasonable suspicion to detain Dan in the first place because he was doing nothing wrong other than “looking suspicious” which is not objectively reasonable. Furthermore, the police officer searched Dan without any probable cause or reasonable suspicion that he may be carrying any weapons. If the court agrees to the unreasonableness of the detention and search of Dan’s pocket, then the dagger will be ordered suppressed and the prosecution will be unable to continue. Dan was driving his car on a Los Angeles freeway when he was stopped by a police officer for speeding. The officer asked Dan if he could search Dan’s car for any drugs or weapons. Dan agreed that the officer could. A few minutes later, the police officer recovers a swiss-army knife in Dan’s center console. The officer pulls the blade out and discovers the knife’s blade exceeds the legal length. Dan is then arrested for carrying a dirk or dagger. In this case, Dan’s defense attorney would argue that the knife recovered from Dan’s vehicle does not comport with the statute. Particularly, the swiss-army knife is not a knife capable of “ready use,” in that it requires a person to use effort in manipulating the instrument to unlock the blade versus exposing the blade by a flick of the wrist or press of a button. Thus, Dan would not be guilty of this crime. If you have been arrested or charged with carrying a concealed dirk or dagger under PC 21310, contact an experienced Orange County Criminal Defense Attorney at the Law Offices of John D. Rogers. Call 877-888-9820 for a free confidential consultation concerning your rights and defenses.